I made this series of decorative bottles in 2009. They were woodfired in an anagama kiln, the wood ash staining the clay with rich shades of brown. Some pieces are also partially covered in glazes. 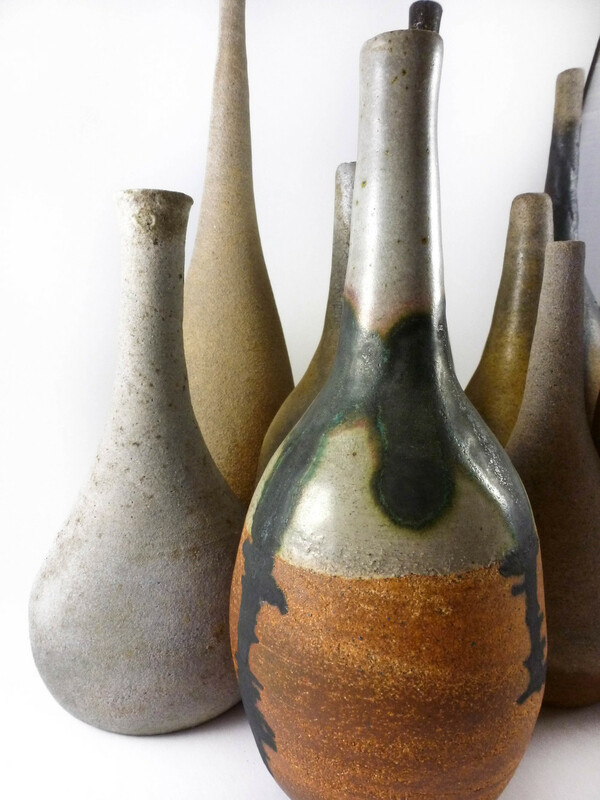 The black streaks on two of the bottles are the result of copper wire that was melted onto the surface during firing.